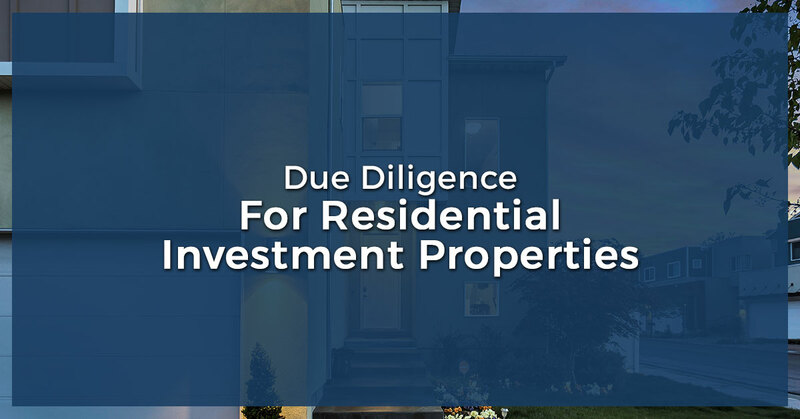 As the non-recourse loan lenders at First Western Federal Savings Bank know, performing proper due diligence is key to making any sound investment. Purchasing investment rental property using funds in your self-directed retirement account and non-recourse loan is no different. Having a strategy in place to evaluate the key metrics of an investment property can help you quickly and easily determine properties that are more likely to work for you and your Retirement Plan. If a property doesn’t meet the above requirements, it doesn’t necessarily mean it is not a worthwhile investment for you, it just doesn’t work with a non-recourse loan through First Western Federal Savings Bank. Cash flow is critical to the success of a rental property. While yes, property values are expected to increase over time, cash flow determines the success of buy and hold investment property. We measure cash flows using Debt Service Coverage Ratio. This is simply the Annual Net Operating Income divided by the Annual Principal and Interest Payment. We look for the DSCR to be 1.25 or greater. Condition is paramount for rental property. As a reminder, your non-recourse loan cannot be used for repairs and renovations. Some repairs are needed on most homes, but it is always wise to know what you are really getting into when purchasing investment property. Contracting with a professional home inspector to evaluate any concerns about the property is a like very inexpensive insurance on your investment. Everyone’s comfort level is different when it comes to repairs. We have a maximum repair limit of $10,000 to become “rent ready” in our non-recourse loan programs. A popular option for properties requiring more than $10,000 in renovations is to do a “cash-out” refinance. If you purchase a property and renovate it to your contentment with cash from your self-directed retirement plan, you might consider replenishing some of that cash. Our non-recourse loan lenders will look at a detailed listing of renovations you made to the property and determine an amount (up to $10,000) we are comfortable with adding to your purchase price to establish a lending basis for the property. Another key component to real estate is location. You have heard the quip “Location, location, location…”. There are many factors to consider under the breadth of “location” when looking for a rental property. Proximity to schools, transportation, shopping and dining, and employment centers amongst others are important. But also, when considering a property in a certain location, you must also consider the properties that surround it. Previous sales prices of the property and surrounding properties tell a lot about an area. Additionally, know and understand the rental comps in the area you are considering. A property in a desirable location and in good condition attracts higher rents and typically appreciates nicely over time and is likely to make a lucrative investment for your self-directed retirement account. Having the funds available inside your self-directed retirement plan is essentially the first step. But how much money should you have? There are always ongoing expenses with rental property, so carrying a reserve for tenant turnover, sudden repairs and general make-ready or maintenance costs is not only required, but is also smart. At First Western Federal Savings Bank, we require liquid reserves totaling 15 percent of the outstanding loan amount in addition to your down-payment, closing costs, and forecasted repairs to qualify for a non-recourse loan. When you’re ready for a non-recourse loan to be used in tandem with your self-directed IRA, First Western Federal Savings Bank is the place to go. Start with our non-recourse loan lenders today!